Your driveway is the first thing people see as they drive up to your home, and a beautiful well groomed driveway gives a great first impression! Whether you want asphalt, ornate brick, stamped concrete or a design all your own, let Remodeling R Us handle this Driveway installation for home remodeling project and add value to your home by beautifying your driveway. You should take your time with this home remodeling project and make sure you select the right color and design to complement your home. Properly installed driveways will last for decades. The material you choose should complement the style and decor of your home. Be care not to overdo it or you will make your home look out of place within the surrounding environment. 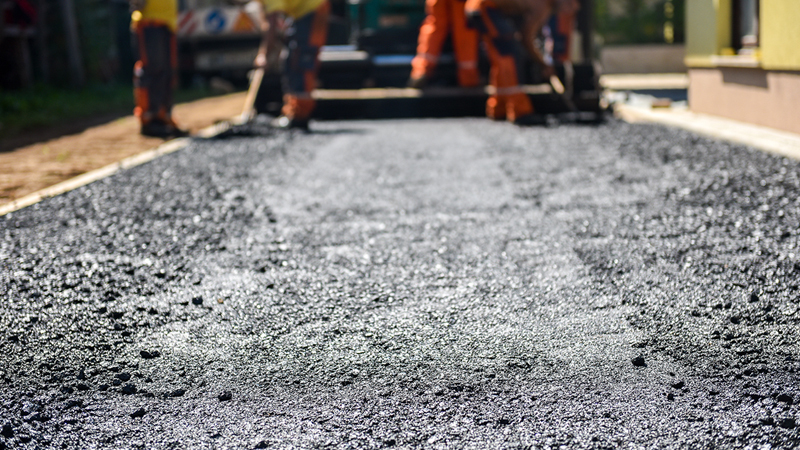 Your Driveway will add curb appeal if it is installed and maintained properly. There are so many driveway finishes and colors to choose from that will add character and beauty far beyond standard driveway installations. If this home remodeling project is done right every homeowner in the neighborhood will envy you! In the past Plain Concrete and Asphalt were the material of choice for this home remodeling project. These materials are still used today, but now with more vibrant color and brilliant design options to choose from. There are unlimited possibilities for your driveway and they begin by making the decision on which driveway material is right for you. Your driveway is the first feature visitors notice about your home. By making it eye-catching you can present a warm, inviting feeling to welcome your visitors. Call today Toll free: +1 888-706-7001 for a free estimate for this home repair and remodeling project. We also offer other remodeling services such as bathroom remodeling, check out our other services for more information. We are here for all your Fullerton remodeling needs. Agoura Hills, Altadena, Arcadia, Beverly Hills, Burbank, Calabasas, Canoga Park, Castaic, Chatsworth, Culver City, Encino, Glendale, Hermosa Beach, La Canada Flintridge, La Crescenta, Los Angeles, Malibu, Manhattan Beach, Marina del Rey, Mission Hills, Monrovia, Montrose, Newhall, Northridge, North Hollywood, Playa del Rey, Porter Ranch, Redondo Beach, Santa Clarita, Sherman Oaks, Tarzana, Torrance, Valley Village, Van Nuys, West Hills and Woodland Hills.